WAR RAGES BETWEEN TWO SIDES OF UNHUMANITY - THE UNDEAD AND THE ARTIFICIAL! As battle escalates between ULTRON'S robotic horde and the ZOMBIE masses, a smaller pocket of humanity must defend themselves from both sides. 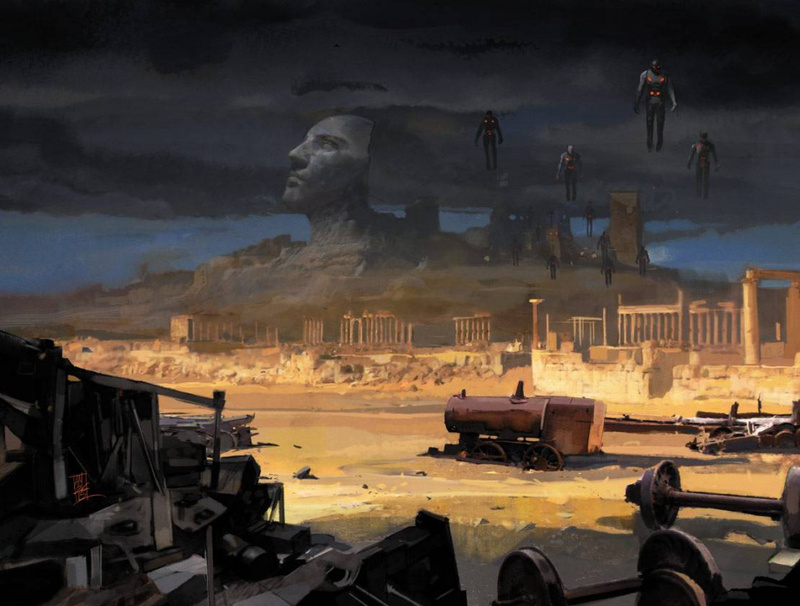 Can SALVATION-an oasis of sanity amidst utter chaos run by JIM HAMMOND, THE VISION and WONDER MAN-protect what little humanity resides in the "DEADZONE"? And what is the HANK PYM from 1872, a man literally in a world he never made, supposed to do when first encountering the evil of Ultron?